The headlines around the association that you really want to know. We've have a great run. But now it's time to say goodbye. The Pauls are expecting their second child. Join the fun! Your voice is what counts. SIGN-UP, IT'S FREE! Not many things are going well for the Nets these days. Aside from the 2-8 record, some Nets find it hard to even dunk the ball without it being a bad thing. 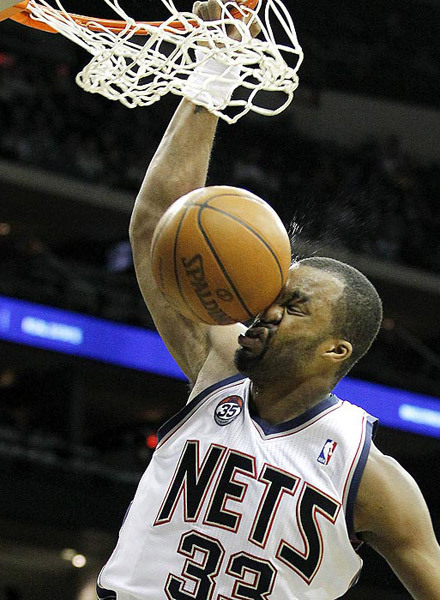 Just ask Sheldon Williams. What do you guys think - tough being a part of the Nets now-a-days isn't it? Get access to our glitch airfares! 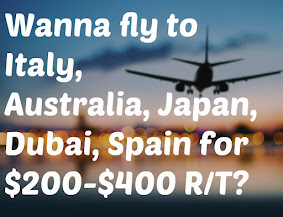 Become a patron and get glitch flight deals to your inbox starting at just $2.25/month. CLICK pic to learn more. LeBron's "sidekick" and mother of his mini-me's does an interview with Harpers Bazaar. Did Jeff Ament Speak Truth About Kareem? Chris Bosh does a "GQ&A"
Clippers Unhappy With "Lob City"
NBA All-Star Voting Gets Underway..Already? Mo Williams the New Chauncey Billups? NBA FrontPage is an entertainment sports website with focus on the National Basketball Association and its stars. We report primarily on the off-the-court and socially amusing activities from the basketball world, including gossip and rumors. 1. You disrespect the creator and contributors of this site. 2. You advertise, spell out URLs and emails in the comments fields. 3. You alter, hotlink or misuse any content from this site. 4. You use foul, misogynistic, racist, or any inappropriate and offensive language/comments.